As I mentioned in my First Blog Birthday post, on September 9 I celebrated my first blogging birthday. In that time I had uploaded 208. I'm now up to 229 posts with 68 000+ views. YAY! These numbers all really excite me and, as I'm sure you can tell, I still absolutely love what I'm doing (probably more than when I first started, to be honest). Anyway, as a thank you to all my fantastic followers, likers and such on all my social media platforms, it's giveaway time! I know I JUST announced the winner of a giveaway but, well, I'm feeling generous. 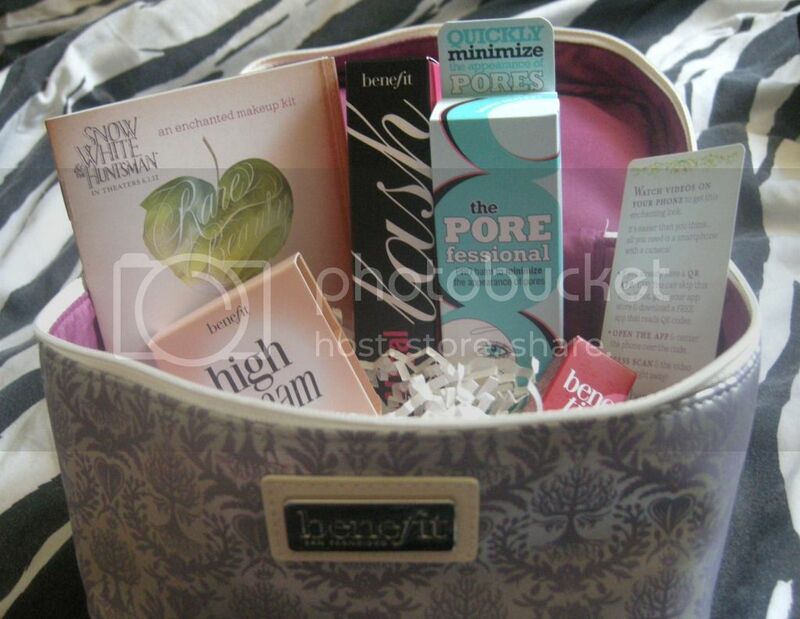 To celebrate my first blogging birthday I'm giveaway away a Rare Beauty Makeup Kit from Benefit Cosmetics. 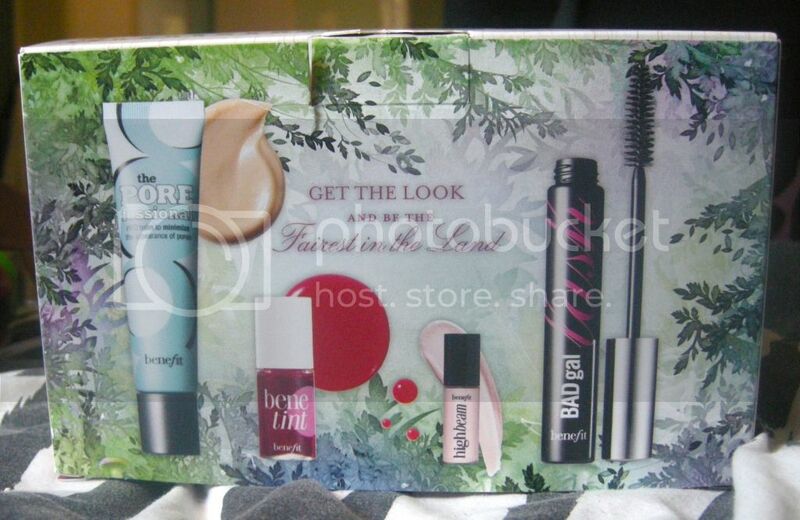 "Be the fairest in the land with our enhanted makeup kit. Look into the magic mirror to reveal skin pure as snow, "rose red" lips & cheeks, an enchanting glow and lashes black as night. It's a fairy tale come true!" 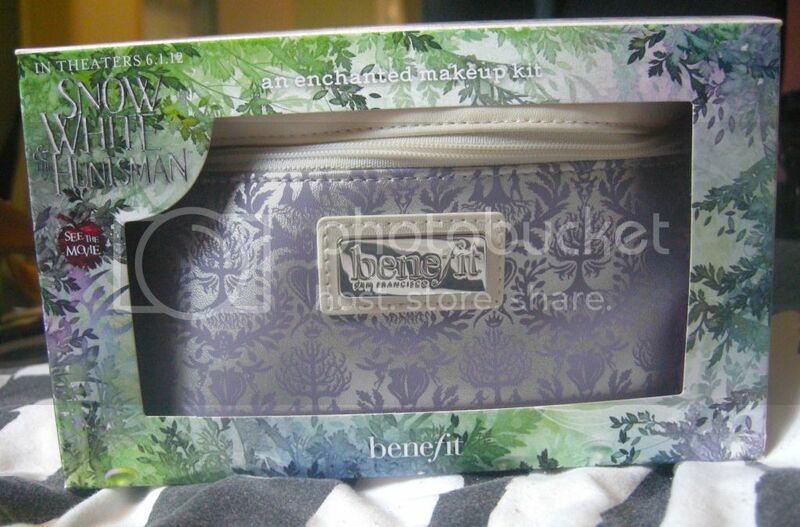 This kit is based on the Snow White and the Huntsman movie starring Kristen Stewart and, although neither the movie or the actress appeal to me, I liked the products in the kit, as well as the make up bag itself (so much so that I bought one for me too, actually). 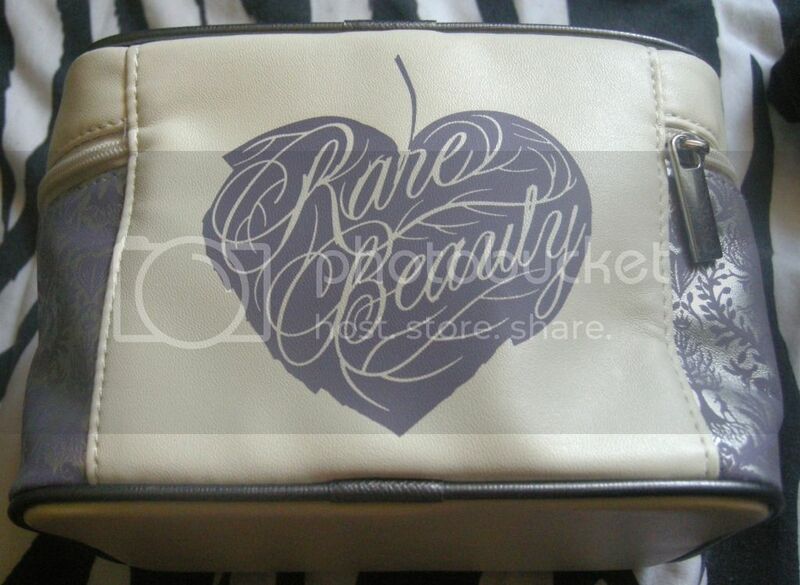 As I mentioned, this kit comes in a great make up bag. As far as entering this giveaway goes, I'm trying something new with the help of Rafflecopter. It's different to what I normally do so please let me know which way you prefer. This giveaway for will be open until 12.01am on Tuesday, October 9 and the winner will be announced within 48 hours after. I love all your posts, so hard to pick just one!But probably favourites!! I just love your honest and details reviews of products. congrats on your anniversary! I really like your reviews, especially on products that have not been released yet like Essence products. I would love to see more organic reviews :) Congratulations on bogging for a year!! Happy blogger birthday! Love all your posts and was nice to read the post Buy Pink and Be Breast Aware in 2012 in support of Breast Cancer, perhaps something similar for October being mental health awareness month and the importance for girls to look their best and care for themselves as your blog is so positive in this area. I would like to see more makeup looks. Im always in search for some inspiration! Congrats sophie! Happy 1st Blogday! I like your empties posts, mostly because I'm extremely nosy. Since you found Hello Darling today, I totally expect more NOTD's ;) hehe, and happy blogiversary! I like haul posts and makeup tutorials. I love all your posts, they are some of the best and most well articulated makeup posts I've ever read! Thank you! Happy Anniversary. I like your monthly favourites. I like the way you link to reviews of the product you have done. Always love more reviews. I like your favorites and that you always link other posts you've dne that are relevant! Well Halloween is coming up so how about doing a specila look just for October 31st??? Id love more pictures on your blog!! But other than that no complaints! Love your honesty in all your comments! hey there, I love your reviews and would love to see more hair tutorials !! Hard to choose which one is the best for your posts, I love all of them. Love to see more reviews for organic makeups. I love the empties posts like August/September Empties + Clear Out, 2012. And I love reviews so I can see if some product I'mthinking about buying is good. Happy birthday to your blog! I do like seeing swatches but I like makeup tutorials because I find them helpful! Congrats on a year! I can't wait til March when I have my first blogaversary!